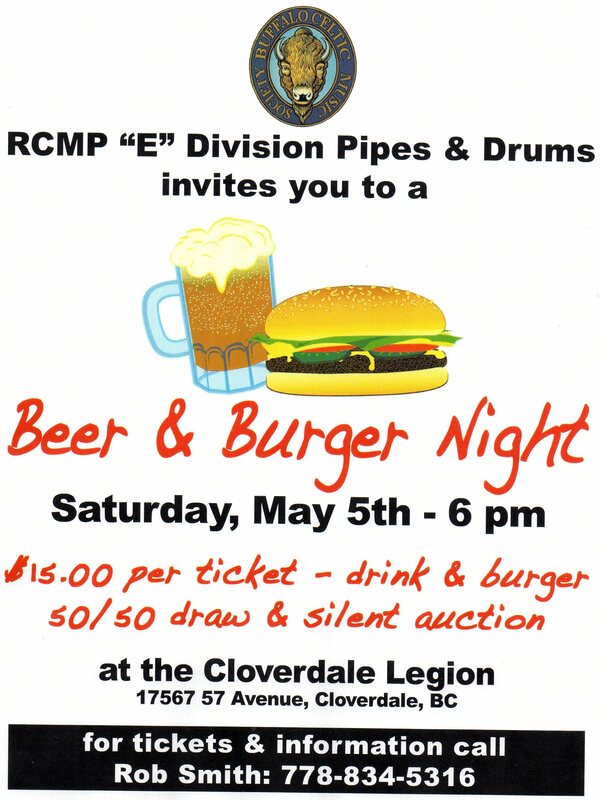 Join the RCMP E. Division Pipe Band, friends and families (well, those over 19) for a social evening of beer, burgers, music and comradeship at the Cloverdale Legion on Saturday May. 5. There will be lots of music, conversation and maybe even some dancing. The band will be playing tunes from its recently released first CD “Live in Langley”. Copies of the CD will be available for purchase during the evening. This is a fundraiser for the band, so your support is most welcome.